Want to know more about small houses construction? Check out this BOOK! 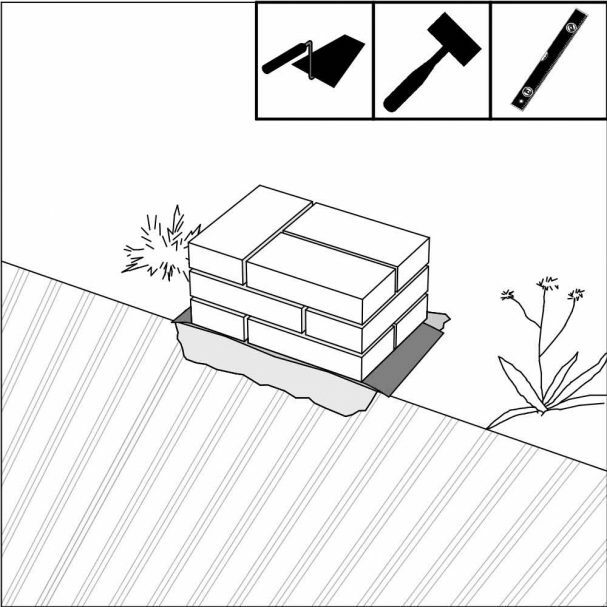 The dimensions of a common masonry foundations amount to about 14″ x 14″/ 350 x 350 mm or even less. For tiny houses, small cabins or garden sheds, bricks laid flat on the ground often suffice. The recommended dimensions of the foundations for a specific shed should form a part of the project documents and plans. Even this stage, like the remaining technological stages, is governed by the rule that the foundation size should be in proportion to the size of the timber structure. Practically every builder/tradesman with a bit of experience has an intuition for the proportions in such small houses. 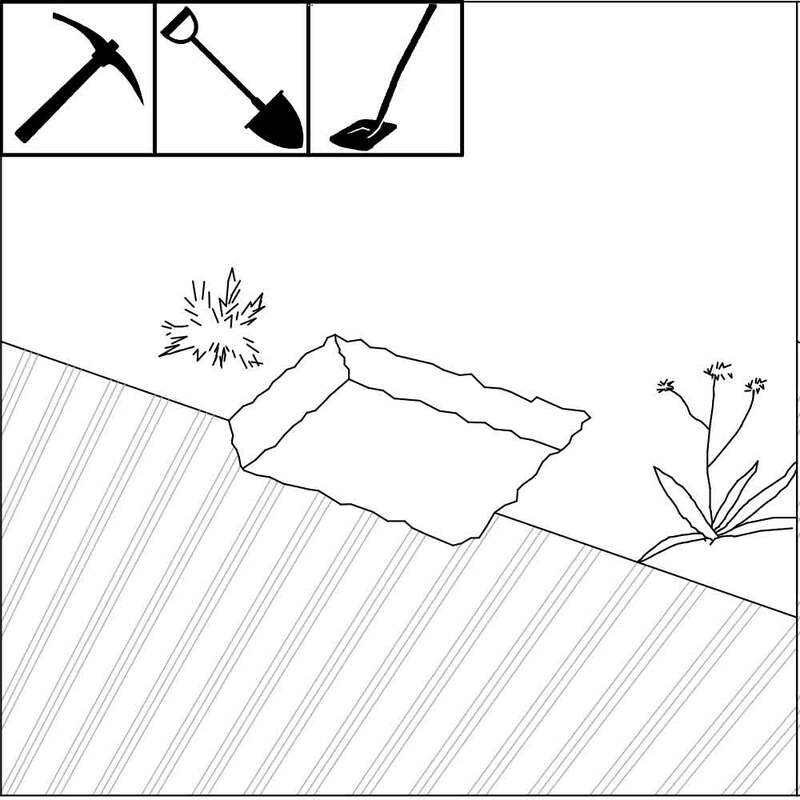 Before we start with the foundations, the base should be prepared. Sometimes it is enough to flatten the place; the topsoil can be removed prior to that (4″/ 100 mm of the top soil layer containing the roots of grasses and other small plants). If you wish your foundations were more profound, pour concrete in the base and lay the brick foundations on a piece of board to prevent ground water from rising. The total foundation height should be at least approx. 12″/ 300 mm to ensure a sufficient gap between the wooden structures and the ground surface. Uncover the ground approx. 4″/ 100 mm deep and tamp. This practically forms the base for a brick, stone or other foundation. The base can be improved with a concrete or mortar bed, in which an asphalt sheet may be placed to prevent ground moisture from entering higher parts of the structure. Now the brick foundation can be completed on such prepared base. Cement and lime mortar can be used as a binder. If suitable rocks are available, use them. 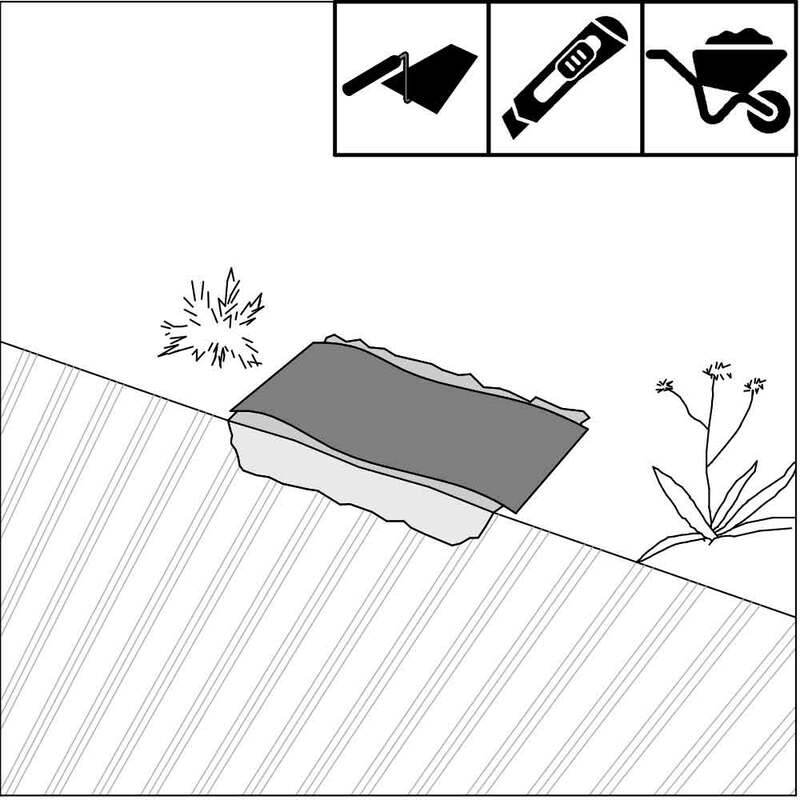 Instead of a classic mortar, you can use clay soil dug near the site to bind the rocks together. 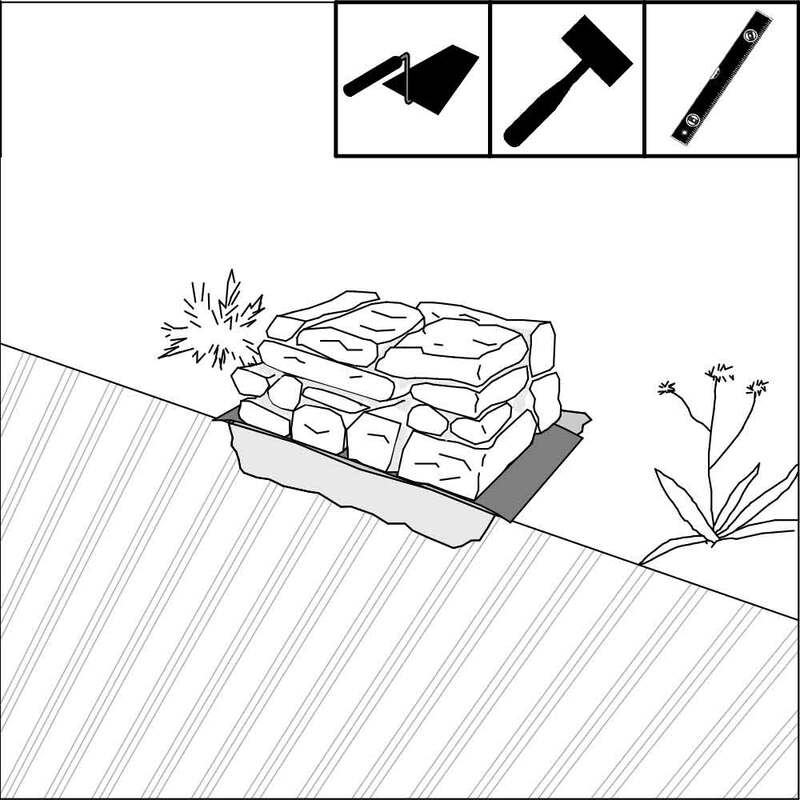 This method of foundations is one of those suitable for DIY builders. Several of our small houses plans work with masonry foundations too, they are recommended for example for Ann, Alexis or Bessie. To learn more about in-depth information about DIY foundations and other parts of construction process with detailed step by step guides, photographs and illustrations, refer to our How to build a tiny house book! Available for you to order in a print version or as an electronic book here.